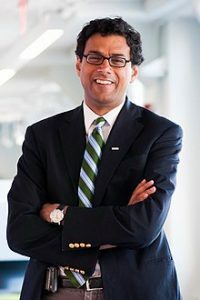 Let me introduce you to Atul Gawande, the author of the insightful and life affirming book about dying Being Mortal. He is, in addition to being a National Book Award finalist and a staff writer for the New Yorker, a surgeon in Boston and a professor at Harvard Medical School. He is the director of a company promoting innovation in health systems and chairman of a NGO seeking to make surgery safer worldwide. He also is married with three children. Typing that paragraph exhausts me. All of which explains, if not excuses, why this space has been bewilderingly empty these past months. Though there are things I want to say, I’ve not had the time or space in my schedule to say it. I’ve not been teaching at Harvard or improving global healthcare, but I have been pastoring a church, caring for a family, doing some other writing, and watching Netflix. I’ve also been preparing to take a sabbatical.This is a curious and misunderstood thing, so I want to spend some time explaining, if not defending it. This will hijack this site for a few months, I fear. However, there are those for whom this will matter. And I’m hoping that some will pass this on to their pastors to encourage them to consider a similar path. But I move too fast here. Some of you are wondering what a sabbatical is, why it is necessary, and what it means in my own life. To that we will turn. But not until I eat breakfast, something Dr. Gawande must squeeze in between his latest surgery and editing his next book. Hope you have a nice breakfast, I’ll be over here eagerly awaiting part 2 and bribing my toddler with cheese so I can have 5 min of quiet time! Both of us read the book. The CEO of Bradenton Courtyard, Shores, Towers – now renamed Westminster Point Pleasant – ordered copies for each of the three libraries, and for managers of all departments. He required – or at least encouraged – each manager to read it. We are as busy as you. We often wonder how there was a full time job to support us, now that we see how packed full our retirement days are. Breakfast is good. Keep up the good work. We went through a Sunday School class with that book as a guide. I didn’t finish it, but what I did read was excellent.